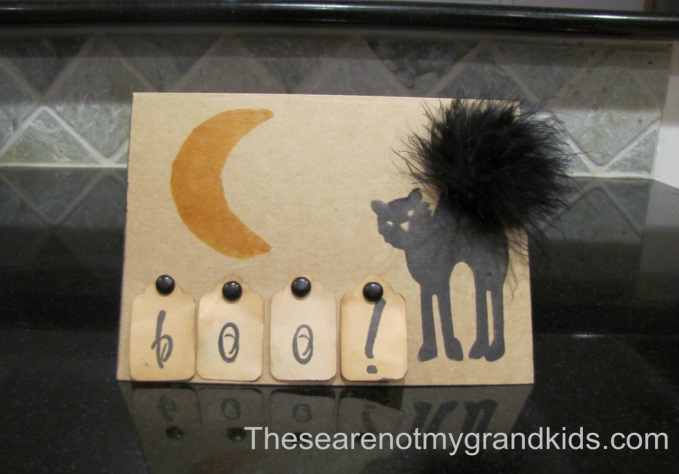 Halloween Card made from Kraft paper with stamped black cat with "furry" tail. Distressed manila tags spell out boo! Attached with black brads. The cards are blank inside. Cards are 5 x 7 with kraft envelopes. You can purchase one or a set of 10 see pricing below.